Are you worried that you missed the boat when it comes to juicing? Does it seem like all you friends have started, stopped, and then given up on juicing, before you even got your first one? Well fear not. I have the best juicers for 2018 right at your fingertips, and I can assure you that juicing is still a great way to improve your health and lose weight. And if getting started with juicing confuses the heck out of you, I have you covered there too, so keep reading to discover the best juicers for the money and how to use them for the best results. I even have a couple recipes you can totally rip off, and they’re delicious! Let’s take a quick look at the two basic types of juicers before we dive into the juicer reviews. Masticating Juicer – There are many reasons to love a masticating juicer. They are generally much quieter than centrifugal juicers, and you’ll generally get a better yield from the materials you’re juicing. In addition, because the juice from these units is “cold-pressed”, they tend to retain their nutrients for a longer period of time. They’re even good for crushing nuts and seeds. In fact, about the only drawback I can see is that a decent one will set you back a good amount of money, probably more than twice what a centrifugal juicer will cost. Some people don’t mind this, but because we’re trying not to break the bank here while still finding you the best values for your money, we’ll save our masticating juicer reviews for another article. Centrifugal Juicer – By far the most popular and widely used, this is the type of juicer most people picture when you tell them you’ve begun juicing for health. Centrifugal juicers are generally less expensive than masticating juicers. They are also noisier by a lot, so if this is a major concern for you, then you may want to investigate a masticating juicer. Centrifugal juicers do their job while spinning at a high rate of speed, and this action creates a lot of heat, which in turn can be damaging to your juicing products. The one way to get around this drawback is to consume your juices immediately, as they won’t store as well as others. For a lot of people, the cost of centrifugal juicers outweighs all the other minor drawbacks, so the majority of juicers we’ll review here will be of that variety. Now that we have the basics out of the way, let’s take a look at some high quality, value packed juicers! Here’s a unit that will be perfect for those brand new to juicing as well as those who may have tried juicing with a blender but feel they need a little more power and are sick of “chunky” juices. Blenders are decent for smoothies but just don’t cut it for making juice. Safety locking arm. Juicer will not operate without safety arm locked in place. You know you have a great quality juicer when the pulp byproduct it produces comes out dry, and this is the case with the Breville Compact Juice Fountain. The other thing I really like about this juicer is that it’s so easy to disassemble and clean. Part of what turns people off from juicing is the fact that some of them are just so hard to clean. There are too many nooks and crannies to deal with. Not the case here, it cleans up nicely. I do recommend you clean it immediately after using it to make it easy on yourself, otherwise you’ll have a big chore on your hands. I’ve noticed that some users claim it’s hard to clean the mesh screen, but I’ve never had a problem with it myself. Some people have also stated that this model is extremely loud. I have to admit it’s a bit noisy, but it’s not out of line with what you’d expect from a juicer at this price point. Here’s another quality juicer from the folks at Breville. Can you tell we like what they make? When you find a good product, why not stick with it? No juicer will be perfect, or meet everyone’s needs, but most of the Breville’s I’ve tried are well made and get the job done, and are a perfect choice for intermediate and advanced juice fanatics. This juicer is a bit pricier than the first one we reviewed, but you really get what you pay for. The Breville 800JEXL with please juice aficionados at all levels, and rest assured you won’t have to upgrade for a long, long while. The 2 speed settings make this juicer versatile and easy to work with. Use the lower speed when juicing softer items such as tomatoes or watermelon, and use the higher speeds for hard items like beets. Some of the negative points I’ve heard are that the mesh screen is tough to clean, and I found that if you’re running things like ginger through it, which is tough and fibrous, you may have to spray it good with your sink sprayer, so I can see what they mean. Some folks also complain that juice leaks from this machine. I read a blurb on their website that said if you force softer fruits through too fast that this can happen. There are also the old standby complaints that this juicer is loud, and I have to admit that it does make some noise, but I find it’s hard to say whether it’s more noisy than other similar juicers. The centrifugal ones all make a fair amount of racket, and it’s something I’ve learned to live with and kind of ignore at this point. Time out for a juice recipe! I think the single biggest mistake people make when they begin juicing is to use way too many fruits in the juice in an effort to make things as sweet as a grocery store juice. All fruit in your juice will taste great, but it’ll also spike your blood sugar level immediately, sending your liver into overdrive. Not a good situation! 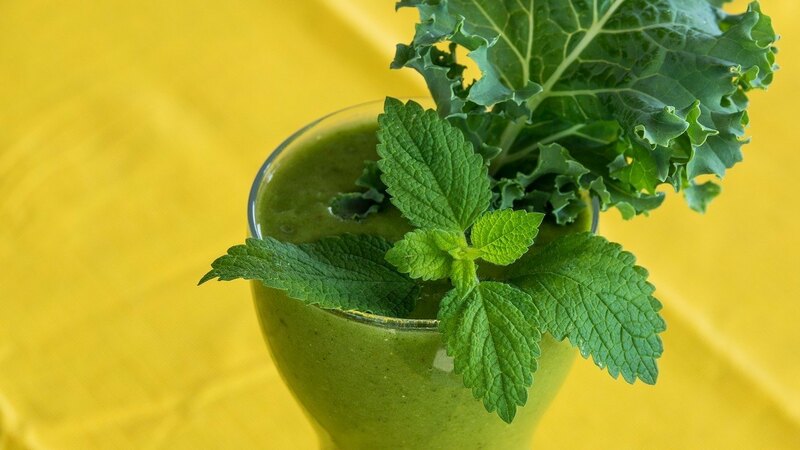 So try this green juice in the morning for a satisfying pick-me-up. Simply feed these ingredients into your juicer in the same order as above and enjoy a delicious glass of fresh juice. Remember to drink your juice immediately, and to wash all ingredients thoroughly before juicing. Here’s a nifty unit from Hamilton Beach that will do all you ask of it, and for a very affordable price. Hamilton Beach is known for manufacturing high quality and reasonably priced appliances, and juicers are one of the things they do pretty well. I would consider this juicer an entry-level model, although it functions well enough to please juicing veterans as well. One thing people have noticed about this juicer is that the pulp is a bit wetter than some of the more expensive models. I have to say that it’s true, but it’s not something that would be a deal breaker for me, especially given the price. Some folks actually feed the pulp back into the machine and re-juice it, but I’ve found this doesn’t yield much and is not worth the effort. We also hear the usual complaints about this machine being loud, and it definitely is louder than some of the more expensive juicers, but it’s still not as though you’re at the airport. Folks have also noticed that with some of the harder items you’re juicing, such as carrots or beets, this juicer will tend to move on the counter due to excess vibration. I’ve tried juicers like this before, and simply placing a rubber mat underneath or a hand on top to steady it will do the trick. Overall, the Hamilton Beach Big Mouth Juicer Extractor is an excellent choice if you’re just starting out with juicing and want to explore the many benefits juicing offers. Here’s a very high efficiency machine that will not break the bank. The Nutri-Stahl juicer has many features and benefits that you would normally see on a higher end juicer, all for a budget friendly price. It turns out that the Nutri-Stahl Juicer Machine is a very reliable unit for a good price. Some people have complained that the pulp seems to come out wetter than other machines they’ve used. It’s very difficult to determine exactly how much produce could be wasted, but I know from experience that when this happens, it’s frustrating. I noticed that some people are also complaining about the height of the juicer, but it’s only about an inch taller than a couple of the other ones we’ve reviewed here. People have also said that the juice container is too small. On the plus side, it seems to be a bit more quiet than some of the other centrifugal juicers we’ve seen. Juicing is a great way to get your Recommended Daily Allowance of fruits and vegetables, especially if you’re not fond of these food groups. Many people have found that juicing helps them lose weight, maintain a certain weight level, and also have clearer skin as a result. 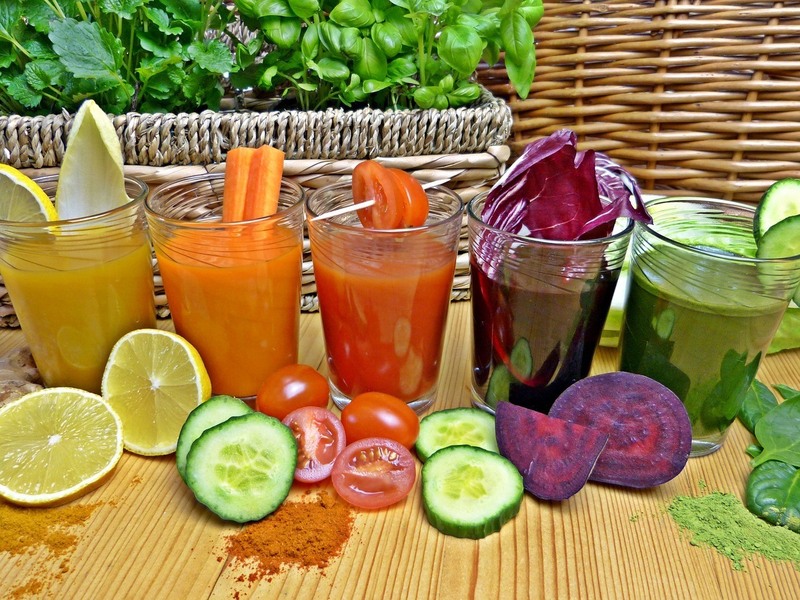 There are many wonderful benefits to juicing, but some people are confused as to how to actually get started. There you have it, and now you have no excuse not to try juicing.